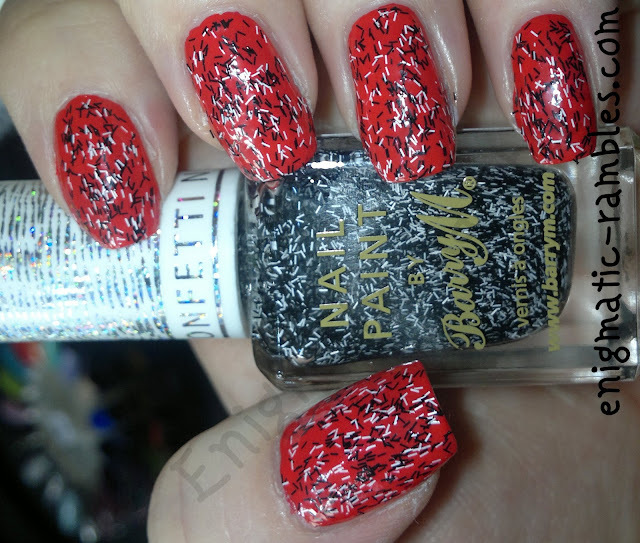 Another Barry M Confetti polish, this is a bar glitter in a clear base which makes it a great topper. 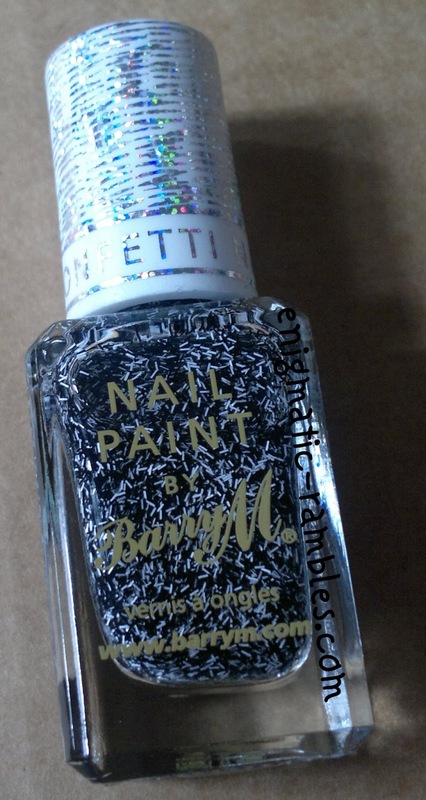 The bar glitter in this particular Confetti is black and white, I wasn't too sure which colour to pair this with but having used Barry M - Passion Fruit I think it works brilliantly. The polish went on really well, the bar glitters spreading over the nail without the need for any fancy application techniques. Photo above shows just one coat of the Confetti polish. 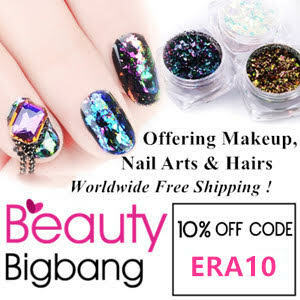 You can feel this on the nail once it is dried, but a layer of a topcoat and that is easily solved. You could build this up to get a full coverage if you wanted to do so. 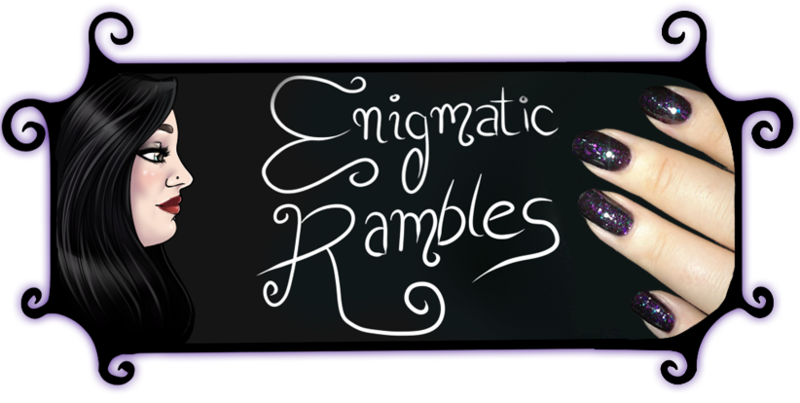 There are five polishes in the new Confetti collection, I will be swatching all of these. Ooooh, this looks pretty good over the red! Need to get my lazy arse down to Superdrug, pronto! This combo looks really good!!! It's gorgeous over red, I really like it. Lovely combo. red and black and white! Yes! I love that style glitter! Very chic.